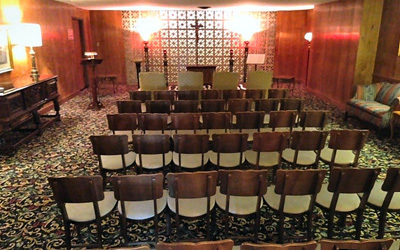 Lloyd Maxcy & Sons Beauchamp Chapel, Inc.
David and Mary Ann had 13 children. One of them became a priest, the Rev. Joseph Maxcy, and was ordained at Dunwoodie Seminary.He eventually became Assistant Pastor at Blessed Sacrament Church in 1905. He died of peritonitis after an appendectomy in 1911 at 30 years of age. He was deeply mourned by the parish and the community. A memorial window, given by the children of the parish school, was placed in the last carriage. 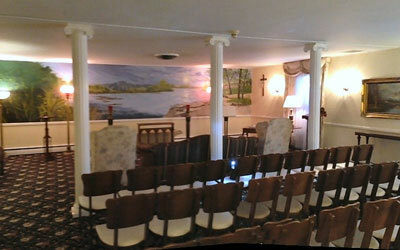 It was an all-day in Blessed Sacrament in remembrance of him. Two of David and Mary Ann’s sons pursued the funeral business. David Jr., was a licensed funeral director in Brooklyn. Another son, Lloyd A.I. Maxcy came to NewRochelle at the age of 19 and opened a new branch of the family business on Main Street, just west of Centre Avenue. The business was moved to Centre Avenue and Leroy Place and eventually was a private residence on Shea Place, its present location. The address, formerly known as Beauchamp Place, was changed in memory of the late Monsignor Shea, pastor of the Blessed Sacrament Church. 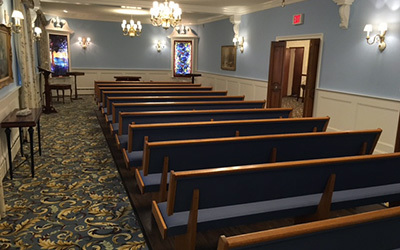 Mary Ann joined her son at the New Rochelle location in her later years. She died in 1920. Lloyd A.I. operated the funeral home until his death in 1955. 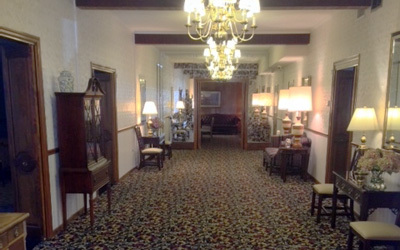 Lloyd A.I.’s son, Lloyd A. and his wife Catherine, owned and operated the funeral home until their retirement in 1980. 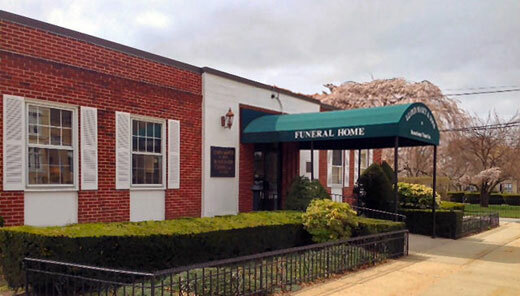 The funeral home has since been owned and operated by Stephen P. Tenore and Fred R. DiCarlo. 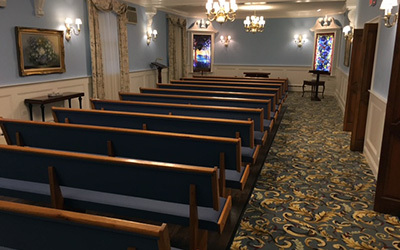 Under their direction, the funeral home has grownto serve communities outside the New Rochelle area and it is now one of the premier funeral homes in Westchester County. Get Professional Support For your Custom Essay Writing In USAExposition composing should be the least difficult scholastic task. Be that as it may, not for every one of the understudies, it requires some exploration, a touch of arranging and afterward the conceivable undertaking of composing which get along troublesome for most of the understudies in Singapore. Thusly, to make this backbreaking assignment simple and clear for you, typemyessays.Com is putting forth you its term paper writing services https://typemyessays.com/term-papers-writing-services benefits at the best costs. Our online task journalists are here to help you with all sort of scholarly works.